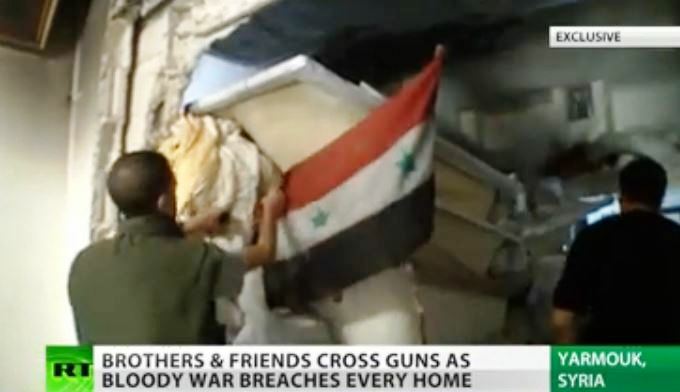 For a long time Syria’s Palestinians managed to stay out of the bloody war. But the infiltration of foreign terrorist fighters with big dreams-nightmare and even bigger promises of money, forced the residents of Yarmouk in southern Damascus to choose sides and take up arms against the terroristic militias. Large parts of Syria have plunged into darkness after a huge blast targeted the main gas pipeline feeding electricity stations south of the country. 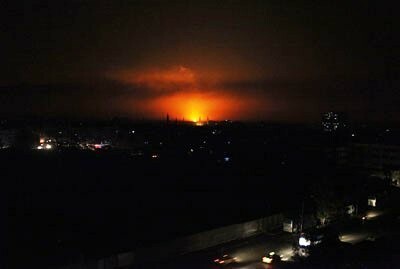 The explosion caused massive but partial power outages in all Syrian governorates. Minister of Electricity, Eng. Imad Khamis, said that the electricity is returning gradually to all areas, adding that the power will be fully restored to all areas within 48 hours. Earlier Wednesday, a terrorist attack on the gas pipelines, which feed the electricity generating stations in the southern area, has caused electricity break off in a number of Syrian cities. This entry was posted in +AAArchive, Gas pipeline, Palestine, Palestinian refugee camp, Palestinian Resistance, terrorism, Terrorist attack, Terrorists, Yarmouk Camp, Yarmouk Martyrs Brigades and tagged Bomb attacks, Gas, Palestine, Palestine Liberation Organization, Palestinian cause, Palestinian Committees, Pipelines, Terrorist attack, Terrorists, Terrorists Gangs, Yarmuk by syrianetwork. Bookmark the permalink.